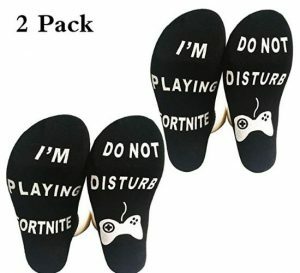 Do Not Disturb’ I’m Playing Fortnite’ Funny Ankle Socks $2.95! Now, this is going to be a hit for stocking stuffers this year!! Amazon has these Do Not Disturb’ I’m Playing Fortnite’ Funny Ankle Socks for just $2.95!